Rapid City is the north-eastern gateway to the Black Hills of Dakota. It’s a designated “scenic drive” kinduva place. With a tinge of regret I turned my back on the Badlands to head onwards. The town of Keystone prompted a snort and then a minor guffaw because it was so impossibly chinzy and frontier theme park-esque. Travel snob? Moi?! 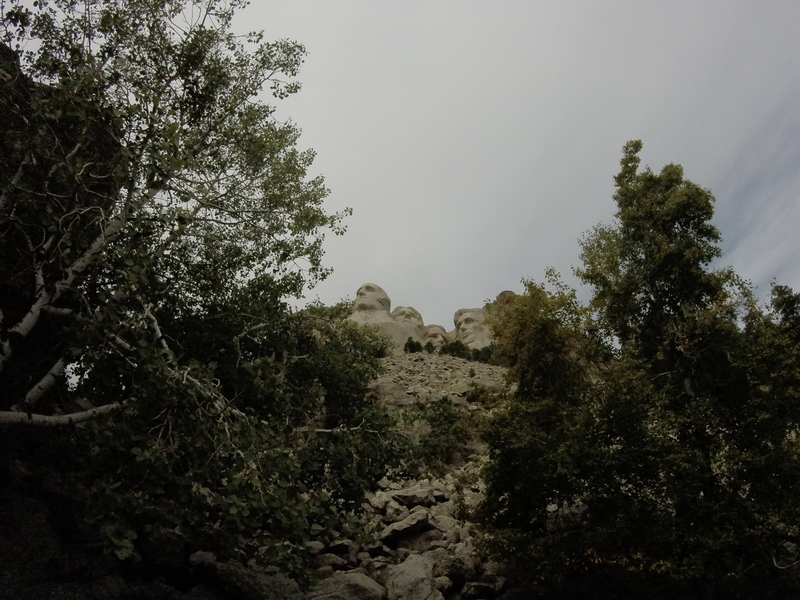 Happily I wasn’t stopping because nearby was the prime objective: Mount Rushmore. I’m no photographer so feel free to Google all the images you can eat. I’ll content myself with a few snaps, observations and answer some (imagined) Mt Rushmore questions. No, it’s not free because you’ll be paying $11 to park your car. Although the state has adopted the monument, they didn’t legislate for parking so it’s private enterprise fleecing the hapless tourist. That said, the National Parks do a great line in informing and educating. So the boardwalk to the base of the scree below the Presidents is good. The exhibits in the visitor centre helped convey the scale and scope of the task. Was it cut by hand? Only the last 10%. 90% dynamite sculpting. Very American: why chisel when you can BANG! Want more FAQs? Click here. My favourite element was the answer to the fundamental: why buil;d it in the first place? Well, they built it because…. Because it would bring tourists “with their fat wallets” to South Dakota. And that’s the good ol’ long and short of it folks. A lifetime later and it’s still drawing in the punters. Admirable gumption, vision and, well, balls. Side note: I especially like the way that this element of proceeding has been de-emphasised in the name of grandeur and patriotic fervour. About an hour. That’s how long you can marvel at it before looking at your watch and heading back to your car. 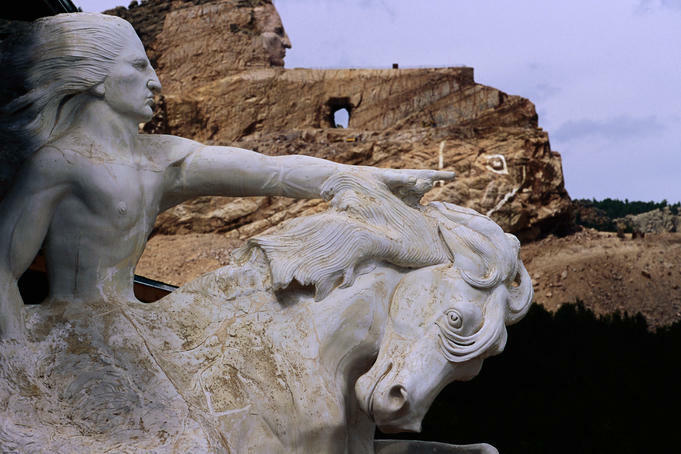 It’s a short drive to the Crazy Horse monument which – clue in the title – is altogether more bonkers. Where to start? Well, you can fit all four Rushmore Presidents behind “his” ear. His head is 13 stories high. The family who have been blasting/chipping/chiselling/bulldozing away at it for over 50 years (in)bred like rabbits: they’re quite the spectacle. The video in the visitor centre is a study in eccentricity, self-aggrandisement, ambition and epic scale. It was unintentionally funny.The “fella on a rampant horse” sculpture they are aiming to produce is OTT and that’s just the scale model. Perhaps this is sour grapes as it’s another $11 to basically have access to a quarry and tacky gift shop. 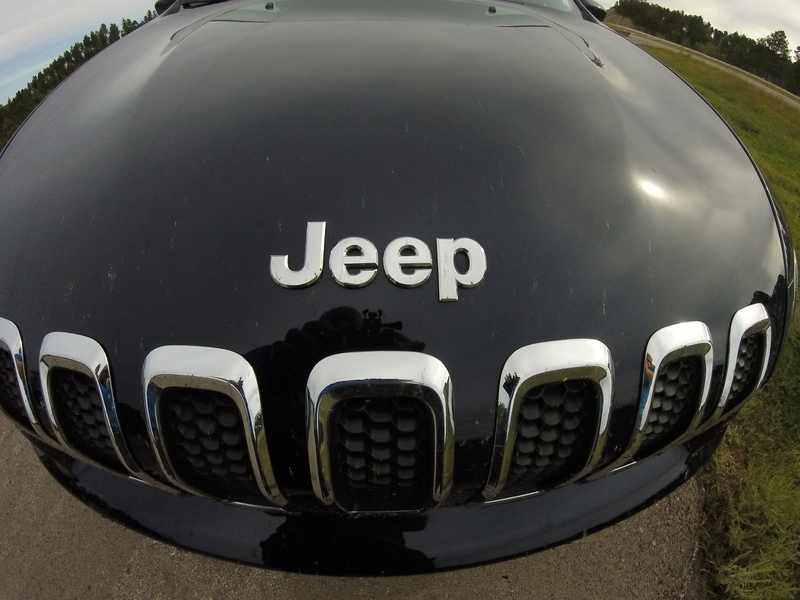 Save your cash and view it from the road. Or for $49, fly over it in a chopper. (More of which later.) Disappointed and not a little bemused I wend my way down into Custer in search of lunch. A town of the old west, it has its share of tat, but happily I nose the car up outside the Burger & Bun which was very busy indeed. Instead of a table for one, I sit at a long central bar. Opposite a ruggedly handsome chap in Guinness baseball cap draws up a stool. Clearly known to the staff he orders the special without consulting the menu. “I’ll have the same.” We fall in to conversation. 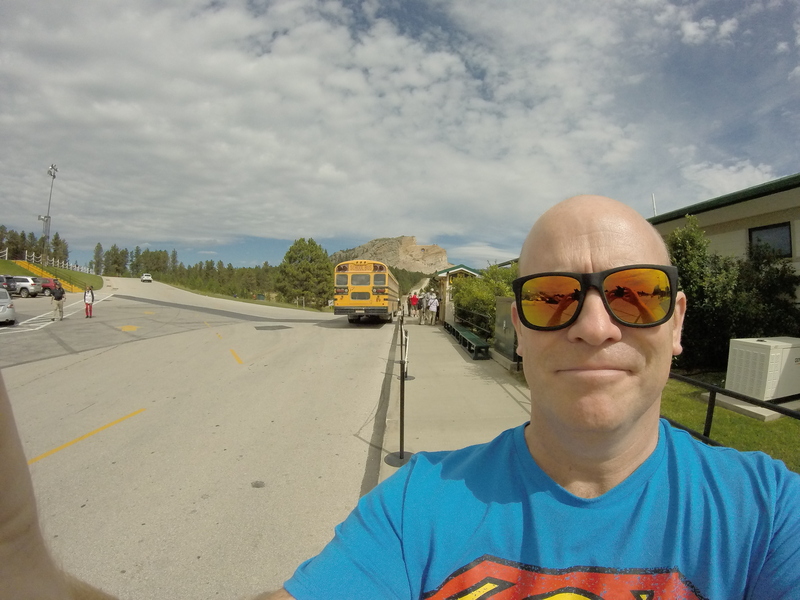 Jim learned to fly in the military and moved to SD to fly tourists around the monuments. Do they get lairy? “Oh yes. We had radio code-words which meant make sure the Sheriff is there when we land.” Crikey. Drunks and nutters enjoy a helicopter trip then? “Yeah. And the complainers.” No pleasing some I expect. Nowadays Jim is an EMS pilot – that’s Emergency Medical Services – and works two weeks on, two off. “I fly less, but it’s more rewarding.” He commends the cheap – it’s only 6 minutes! – tour and we talk about my road ahead and the beauty of New Zealand. I leave a very flattering, accurate, Trip Advisor report. 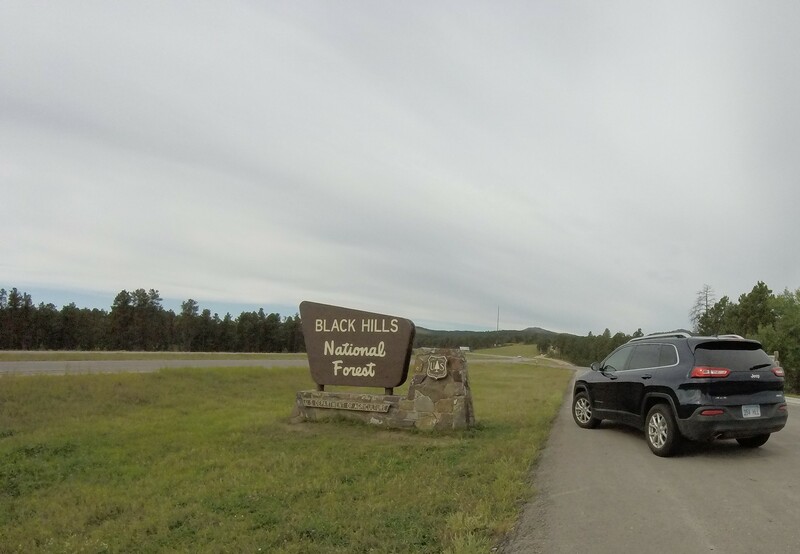 The rest of the Black Hills are a lovely drive only to be followed up by the wide open grasslands of – new state – Wyoming. Did I read that it’s the least populous state? It seemed pretty bloody sparse to me in a see-a-gas-station-fill-up-just-in-case sense. The sky was huge, the air warm and the colours pleasing. The miles rolled under the car effortlessly. 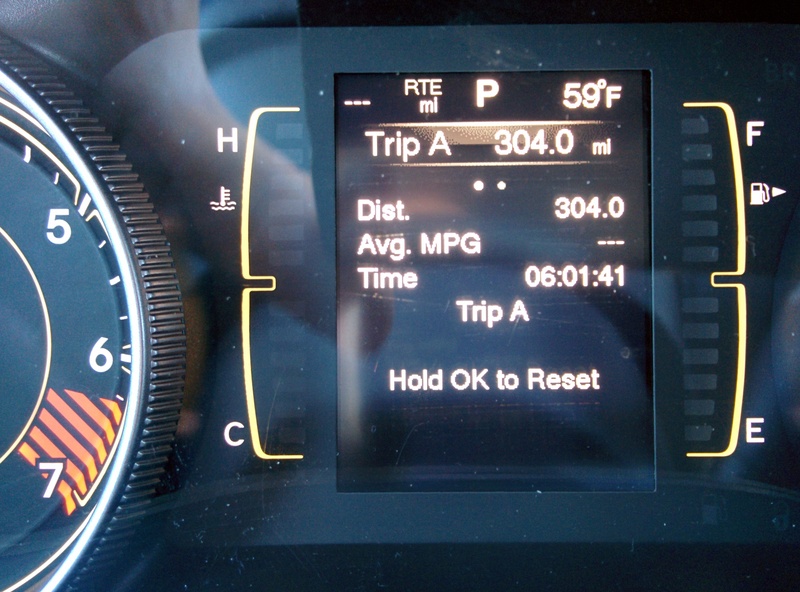 Day Two Mileage: lower average speed! Arriving in Cheyenne nearing sunset the milometer showed a weedy 309 miles. I am a lightweight. (A rather heavy one actually with all the calories road-trips involve.) The Rodeway Inn appears like a backdrop for a True Detective murder investigation. The temperature was still in the 70s when I checked in, as was the décor. Still, for $49 + tax? Wifi was good but the pool was closed. (A body floating in it I expect.) Against the odds I am peckish from an afternoon in the saddle. The word on the street is the Wyoming Rib & Chop House was worthy of my custom. 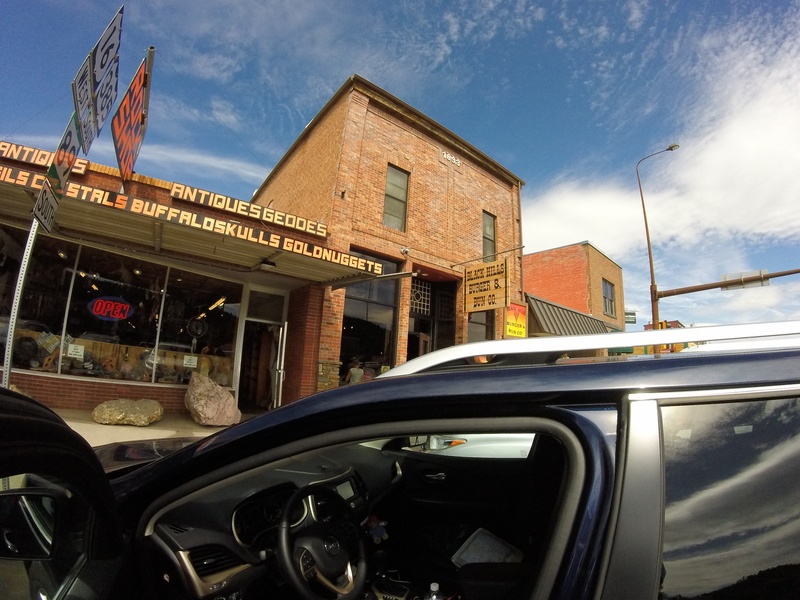 Situated in charming downtown Cheyenne, the restaurant was heaving. So taking a seat at the bar I settled in with a craft beer – they all are now – to peruse a menu of dead things. Settling on a New York strip I made some notes in my log and eyed the patrons. Next to me was a wee chap in a baseball cap – “am from Denver, come here workin’ once a month. This place is AWESOME.” – whose Rib Eye cut would’ve attracted its own postcode at home. Every time the barmaid came by she ribbed him [sorry] for his lack of progress and he tried to chat her up. Badly. Meanwhile to my left herself got a box “to go” and scooped half a cow into a styrene coffin. She also got 10% military discount I noted. My steak was succulent and satisfying although I noted I was wheezing a bit as I walked it off. Must be the altitude eh?